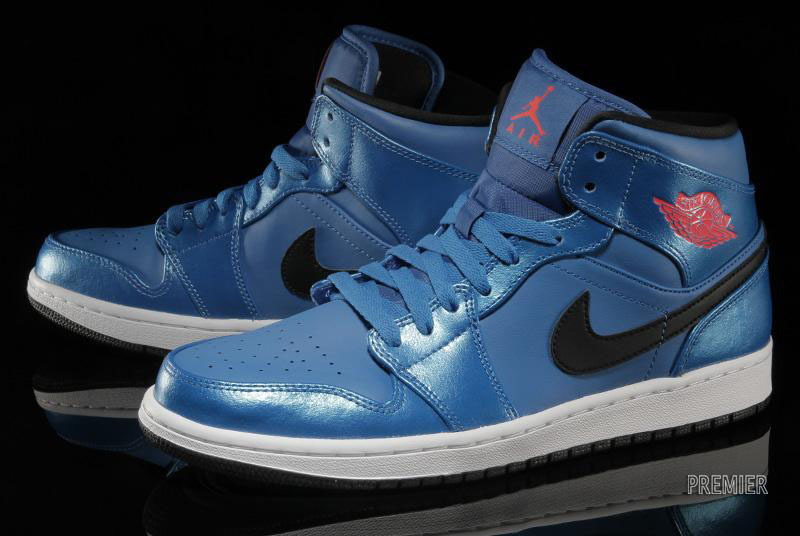 The Air Jordan 1 Mid surfaces in another new colorway, and like the 'Wolf Grey' pair we shared with you yesterday, this pair makes use of Sport Blue. 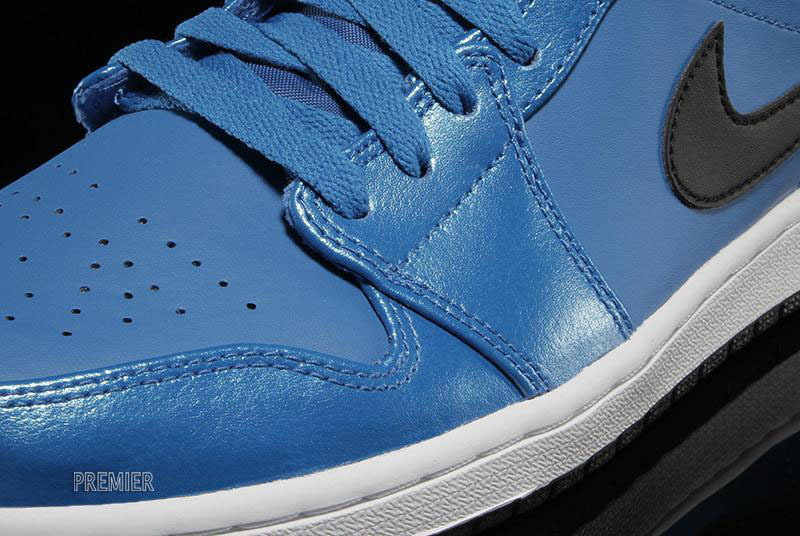 The hue is primarily featured on the upper, with the toe, forefoot, eyestay and heel overlays treated to a metallic finish. 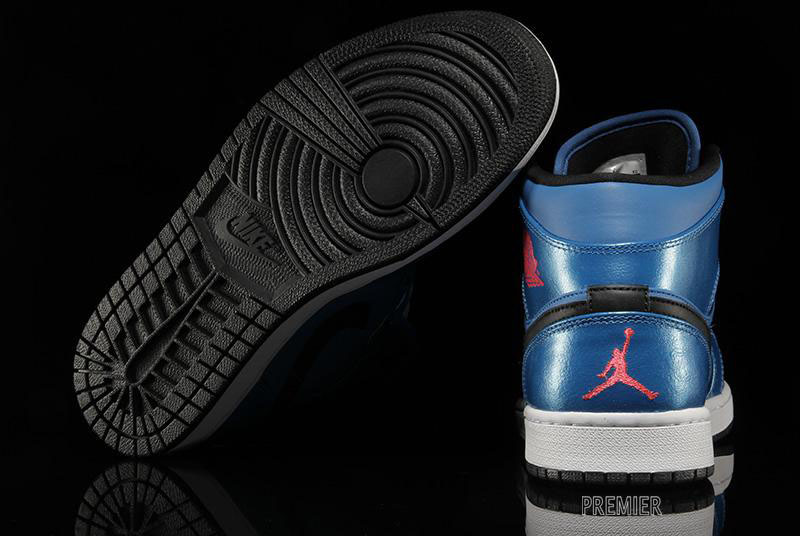 Infrared 23 adds pop to the Jumpman and Wings logos, while the inner lining, Swoosh branding and outsole are done in black. 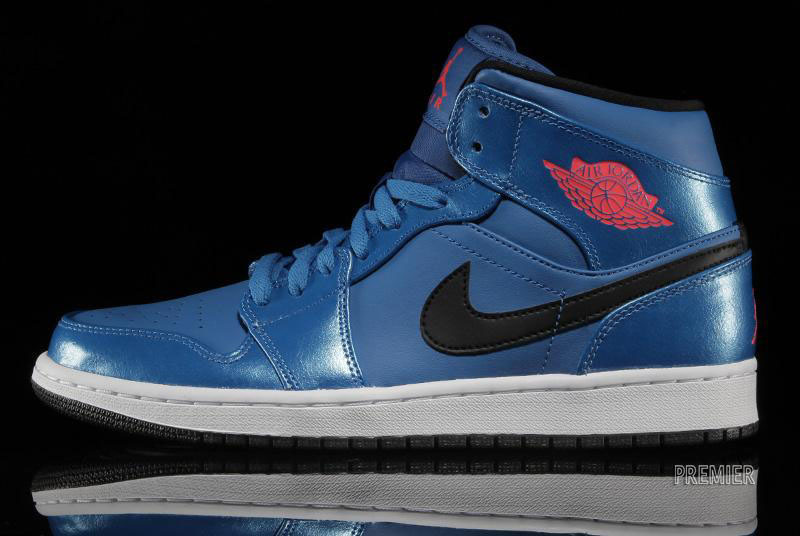 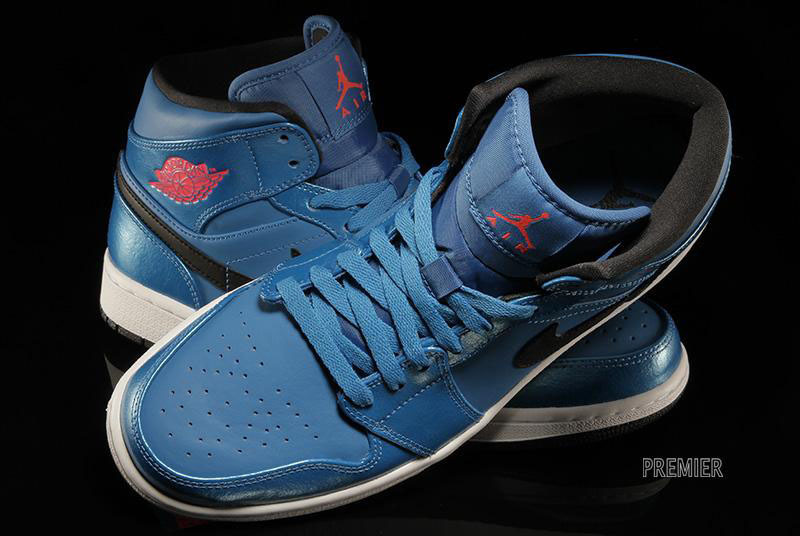 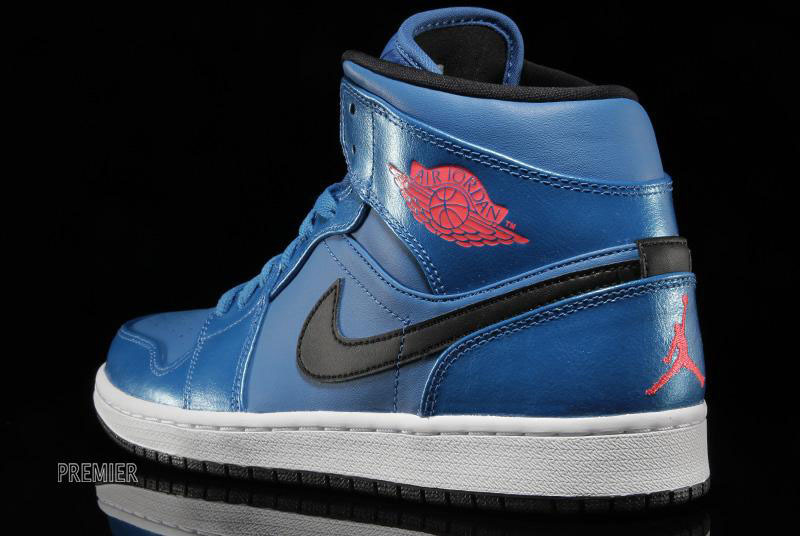 You can pick up the 'Sport Blue' Air Jordan 1 Mid for $105 at retailers like Premier today.